This race was one of the most fun events of the year. Unfortunately, it was not well attended, especially considering locally based CVAR was a co-host. The timing of the event was great for weather but bad for racing budgets. 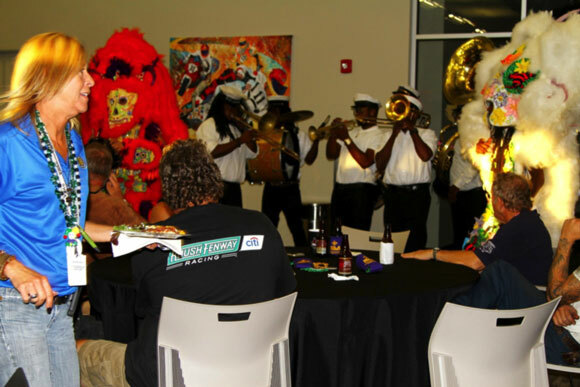 With the COTA National Championships only four weeks away, most of the CVAR people passed up on New Orleans for COTA. 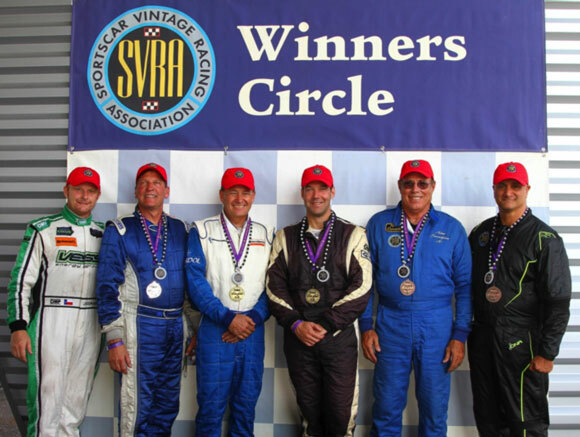 Tony Parella may have invited CVAR to co-host, but he personally planned the event and the special added attractions which were nothing short of spectacular. On Friday evening during rush hour, Tony had the police block off the freeway including the Greater New Orleans Bridge for a parade of racecars that made the 26 mile trip from the NOLA racetrack to the French Quarter. The tour wasn’t just Point-A to Point-B. 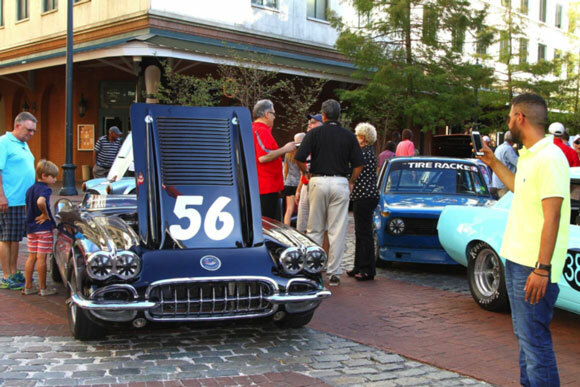 It circulated through the entire French Quarter, with police motorcycles passing and re-passing the racecar parade, boldly blocking off side streets and startled pedestrians with drinks in hand. The parade finally stopped at Harrah’s Casino where everyone from the race got free gambling money. A huge crowd descended on the parked racecars, and much goodwill was spread. Everyone had a ball except those Friday evening commuters who were stacked up on the freeway entrance ramps! Who would have thought that possible, much less pull it off? On Saturday night, the party was a mini Marti Gras with traditional New Orleans jazz musicians strolling through the crowd with instruments blaring. There were beaded necklaces, doubloons and smiles everywhere. It was by far the best race party in years. The racing was as good as it could be with so few entrants. Group 6 had a decent field, but some of the other groups had twos and fews. Duntov brought two Group 6 cars for Tony Parella and Jim Kitzmiller. 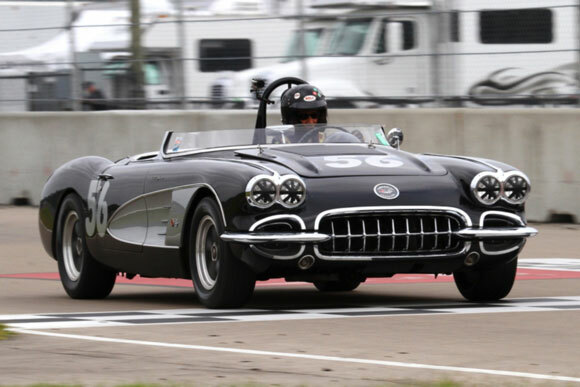 Tony also had us bring his 58 Corvette that had just gotten a major engine upgrade. 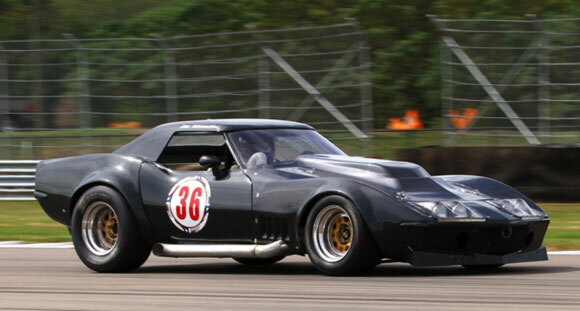 Many times Tony has had Duntov bring cars to the track, but he rarely has the time to run them. This weekend he ran his cars and had a ball doing it! 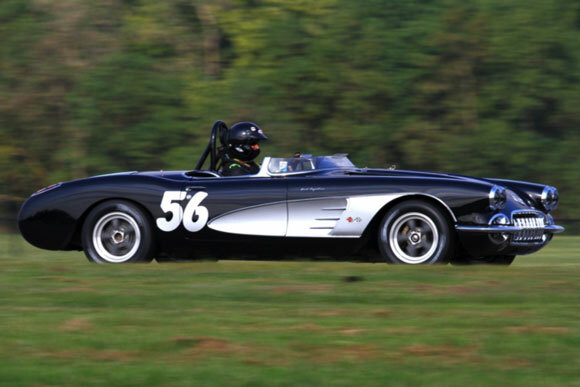 Tony’s 58 Corvette is his favorite, and when it is running strong, Tony is at his happiest. This time out, the engine was making so much more power; the headers heated up the carpet, and it started smoking! Tony didn’t even mind, but we did wrap the headers and insulated the footwell before he took the car out again. 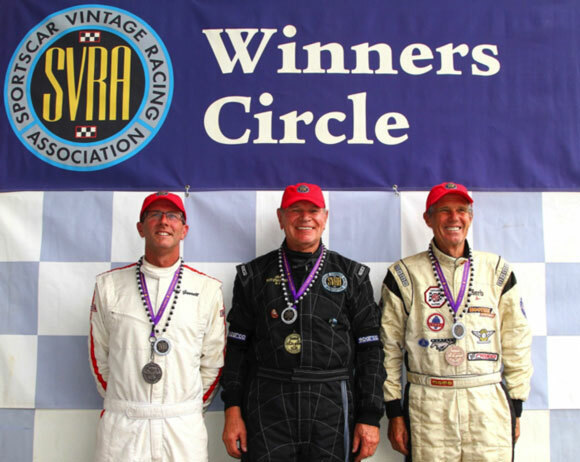 Jim Kitzmiller led every lap in the first Group 6 race and notched his first win ever. 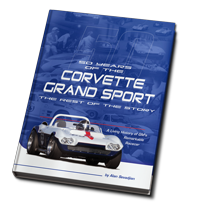 It was not easy as Jim had a Mustang on his rear bumper every lap as he nursed a sick engine. Jim had dropped a valve, but he soldered on to the checker. That was it for Jim for the weekend as there was no fixing his engine in New Orleans. In Saturday’s Group 4 race, Tony beat all the normal Group 4 cars, but he didn’t beat a 289 Cobra inexplicably classified in Group 4. 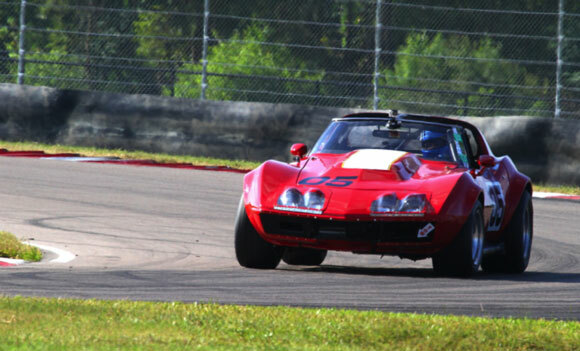 The Cobra was slow for a Group 6 car, but that is hardly a reason to put him in Group 4 where he dominated. Tony and Alan ran the enduro together. Because he didn’t qualify, Tony started at the back of the pack. He worked his way up to Steve Seitz’s Mustang and the battle was on. Lap after lap Tony kept pressing and finally Steve spun and Tony took the lead. Both cars pitted and changed drivers and when Alan rejoined he was behind! Steve’s pit stop was 5:00.94 and Tony/Alan’s stop was 5:10.96. The Duntov crew had relied on careful calculations as to pit lane RPM to get a perfect 5:00 stop while Steve Seitz used a stopwatch velcroed to the steering wheel. Duntov would be getting some stopwatches and Velcro! 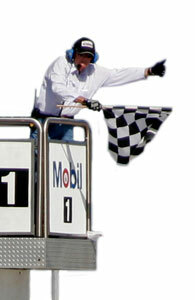 It didn’t matter, as Alan passed the Mustang on his out lap and maintained about a seven-second margin to the finish. 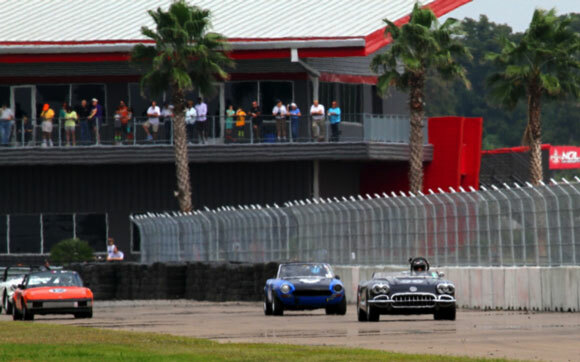 In Sunday morning’s Group 6 feature race, Tony again started from the back of the pack and caught up with Steve, but the race ended before he could make the pass. Jim comes through with a tough flag to flag win. Notice the beaded necklaces. Tony and Alan got beads too!